It is said that the martial music in Iran dates back to Achaemenid period. Since then, military songs have been used to muster courage in the soldiers fighting in the battlefield to gain further victories against enemies. Xenophon of Athens, an ancient Greek philosopher and historian is quoted as saying that just before his army’s confrontation with the Assyrian troops; Cyrus the Great, the founder of the Achaemenid Empire, the first Persian Empire, began to sing a song echoed loudly and respectfully by his military men. When the song came to an end, the army began to march resolutely towards the army of the enemy with long and regular strides. During wars, the music band members used camels to relocate their heavy instruments. They also played exciting music in the battlefield to encourage the soldiers and improve their morale. As a foreigner, who had lived for years in the historical city of Esfahan the capital city of Iran under Safavid dynasty four centuries ago, the French traveler Jean Chardin referred in his memoire to a number of Naqareh Khaneh in the city in which the music players began to play Naqareh and Dohol, an Iranian music instrument which is three times larger than European drum, on sunrise or sunset. Jean-Baptiste Tavernier, a French merchant and traveler in 17th-century has also described a Naqareh Khaneh in Shah Square in Isfahan as a place for holding concerts beginning on sunset and sunrise with their music voices echoing across the city. 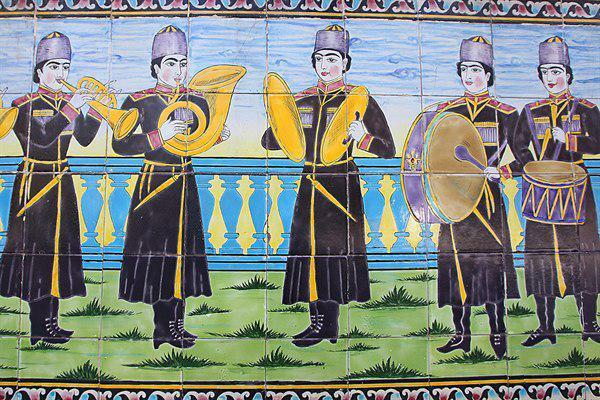 In the Naser al-Din Shah Qajar’s era, the music band of the court had to play during Eid holidays, his trips to the countryside, court formalities and Tazieh rituals held in Tekyeh Dowlat. Meanwhile, each day, the band began to play one hour before the sunset in the yard of Marble Throne. They also played music at the request of individuals for their marriage ceremony. Years after the inauguration of Dar ul-Funun in 1851 as the first modern university and modern institution of higher learning in Iran, the then government established a new branch of the institution called Music Branch. 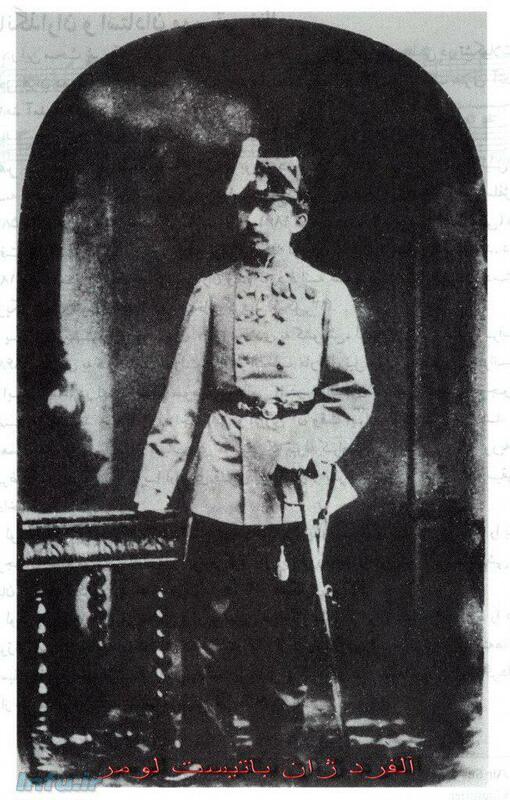 A French musician called Alfred Jean Baptiste Lemaire was hired to teach music there. Lemaire trained many leading students in music area. So, gradually the world “music” referring to martial music bands began to replace the former Naqareh Khaneh in Iran. 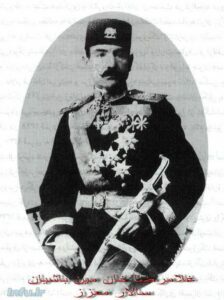 Salar Mo’azez was one of Lemaire’s leading students who later became his deputy in Music Branch. He left Iran for Russia for supplementary studies in music. Having finished his education there, he returned to Iran replacing Lemaire. He also made a national song. Years later, Turkish former President Mustafa Kemal Atatürk officially invited Iran’s ex-ruler Reza Shah in 1933 to visit Turkey. Upon protocol requirements, the Turkish side asked the Iranian government to send a copy of its national song’s musical note for playing during the official welcome ceremony for the Iranian king to Turkey. 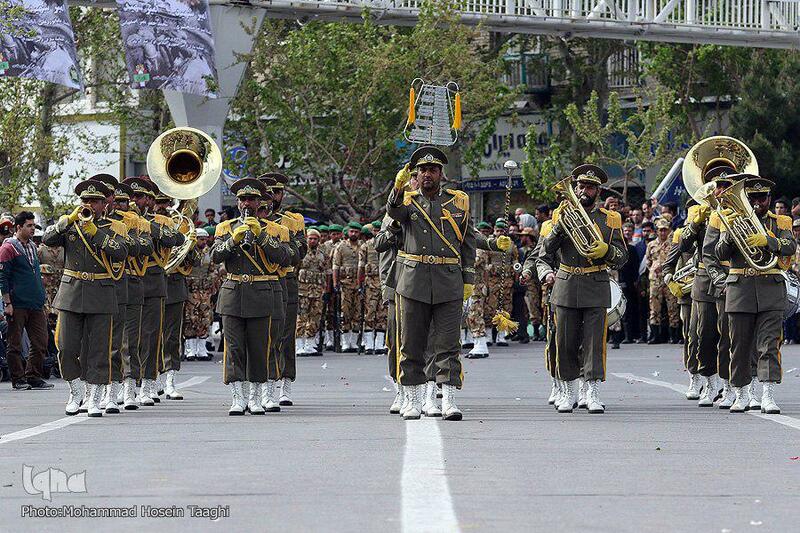 Therefore, the Iranian army was asked by the government to prepare a note of a national song by the army’s music band. The created song was played as the national song of the country for the next 45 years. After the victory of the Islamic Revolution in Iran in 1979, Iranian musicians made a large number of songs during the Sacred Defense era to encourage the Iranian soldiers in their fight against the Iraqi army under former dictator Saddam Hossein. 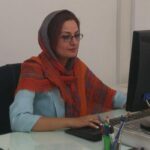 But, given the importance of creating epic music as well as brining up new players and musicians in the military music area, the government of Iran decided in 1994 to establish a music faculty in Tehran Art University. Sharif Lotfi played a key role in the establishment of the faculty. Military music consists of three types of music: Percussion, wind and woodwind instruments. Today, the martial music band of the Islamic Republic of Iran’s Army consists of various musicians and players who are specialists in their area of expertise.